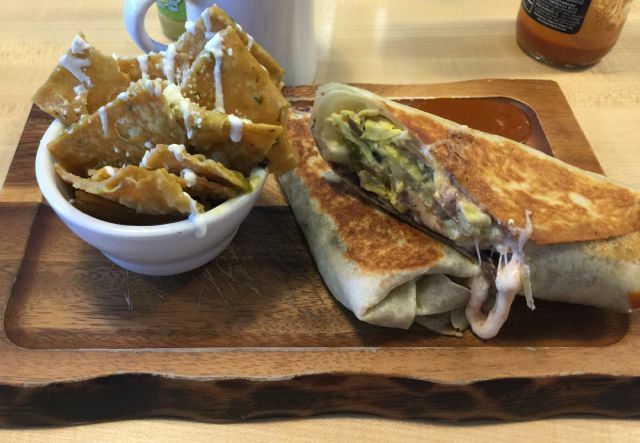 If you haven’t been to Tom Edwards’ creation at the edge of Anchorage, you’re missing a culinary treat. Edwards is the force behind Mozza Pi, which occupies a rustic stand-alone barn Edwards built, and the pizza comes from an oven he also built. 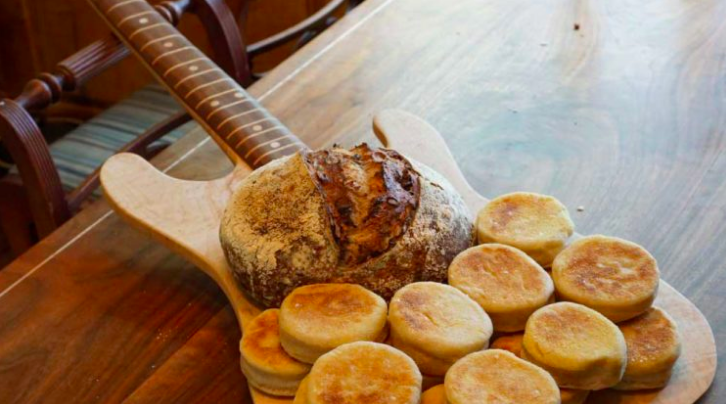 And much of the bread and baked goods sold here are made using grains he mills on site. 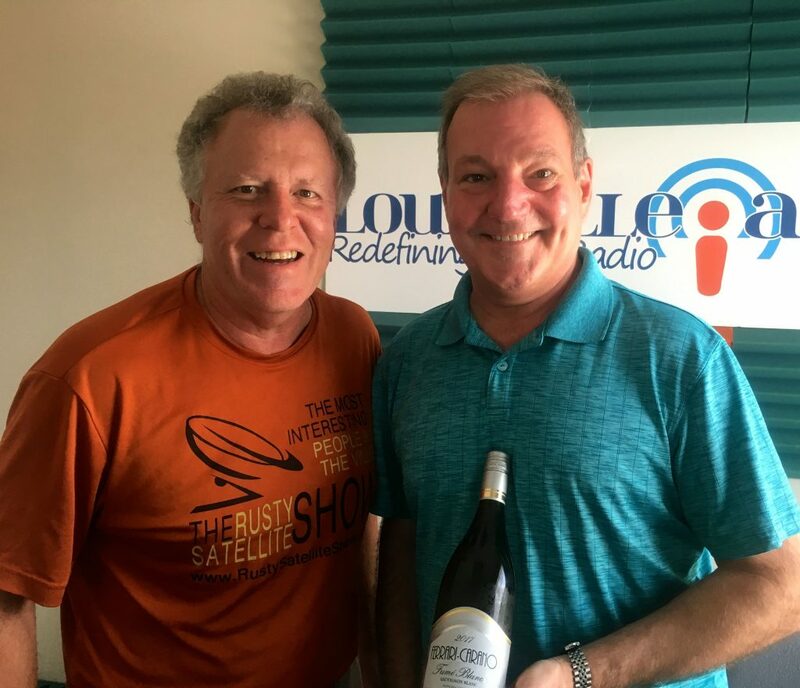 We talk with Tom about his approach to food and business, and his plans to open a new restaurant in Distillery Commons, in what used to be a bar called Cliffhanger’s. He says the new place, which will have plenty of special features, will open around Derbytime. But he’s not being specific about which Derby. Carolyn spotted a drinking trend, and brought in a bottle of Rosé because she says all the cool celebrities are on to it. We tried it out with EDT producer Dan Vonderheide, who joined Rick in pooh-poohing the idea. We’re also anticipating a few things — the opening of Martin’s BBQ in the old Lynn’s Paradise Cafe building this week, the countdown to opening of the downtown Taco Luchador, and the first distillery tours are being offered at Rabbit Hole in NuLu. Carolyn expresses her glee about going to the Kentucky State Fair this week, and Rick reports he made an unusual stop for a night out at Gerstle’s. Our sponsor, Fourth Street Live!, is hosting the big Nelly show this weekend, and in September it will host a blood drive associated with Actor’s Theatre’s production of Dracula. 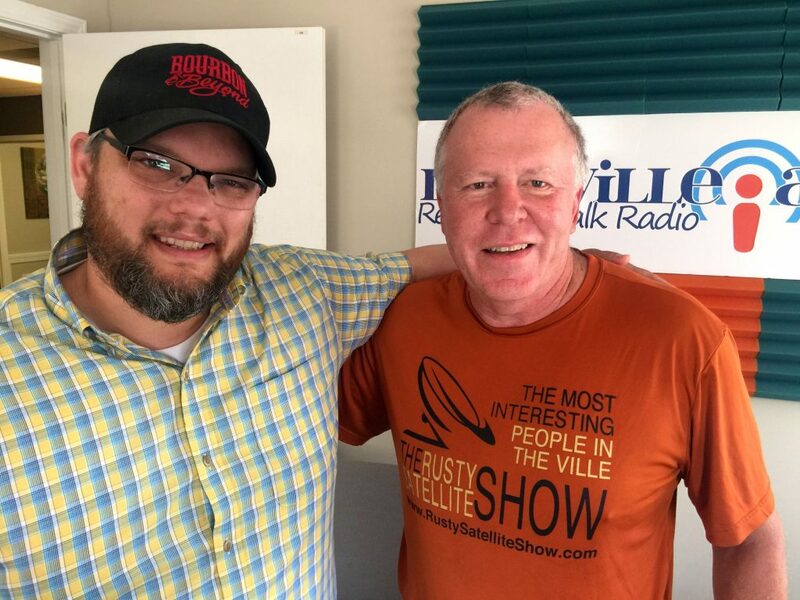 It’s all here at EatDrinkTalk, the ‘Ville’s favorite podcast for restaurant and bar news. There’s plenty going on with our sponsor, Fourth Street Live!, including Full Contact Karaoke on August 9. 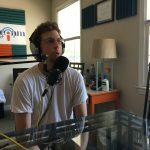 Check out all our podcasts and an up-to-date list of things to do at EatDrinkTalk.net. 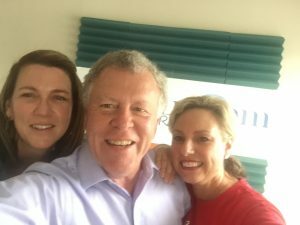 Carolyn and Rick have been keeping a busy schedule eating and drinking around town, all so we can talk about it here on the EatDrinkTalk podcast. 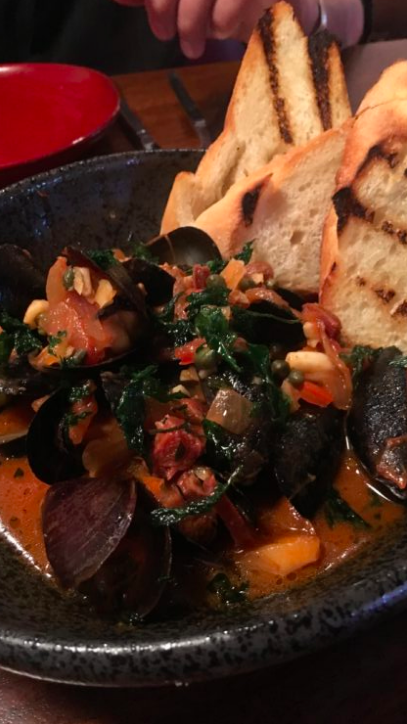 We start with Carolyn’s Eat of the Week, which she found in Westport Village at the Artesano Tapas spot. 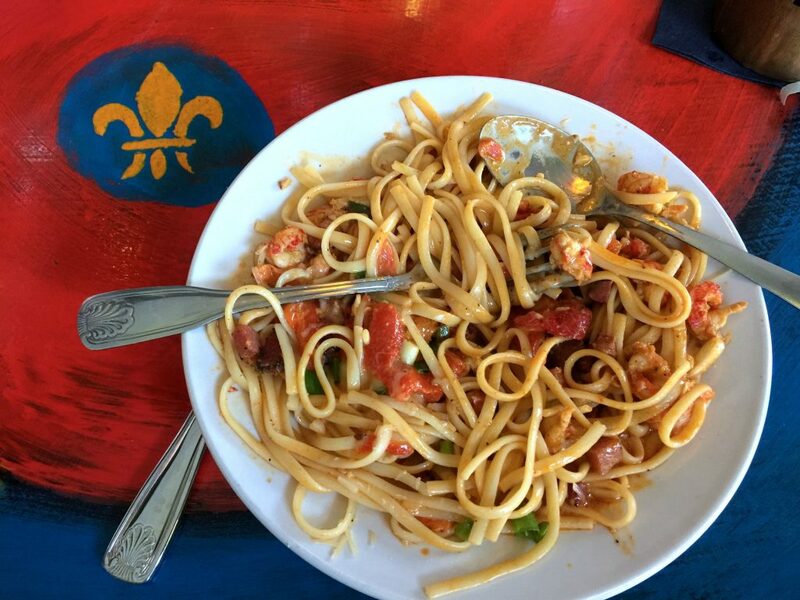 She gives the Ole Restaurant Group spot high marks for some succulent lunch dishes. Rick went all the way to Nashville to discover that city’s equivalent of the ‘Ville’s own Seafood Lady. It was not fancy, just mouth-watering seafood (lobster, shrimp) served in styrofoam containers. It’s Forecastle Week in the ‘Ville, and while concert-goers savor the sounds of the likes of Jason Isbell and Arcade Fire, many end up in the air-conditioned comfort of the Bourbon Lodge. Liquor Barn’s Brad Williams traces the evolution of the attraction, which has become a big event in the bourbon world, thanks to the keen interest in the project by founder J.K. McKnight. Williams says the Rarities Bar is a treasure to bourbon aficionados, with plenty of bottles you won’t find elsewhere. We got an early look at Louisville Magazine’s Best of Louisville awards in restaurants, and have some nits to pick with the choices. And Carolyn had a chance encounter with Mitch McConnell, who has experienced unpleasantness on a few recent trips to local restaurants. Thanks to our sponsor, Fourth Street Live!, which is gearing up for the Nelly concert August 3 and is welcoming the new Pizza Bar to the Street. It’s summer, a time when our thoughts turn to . . . ice cream, of course. 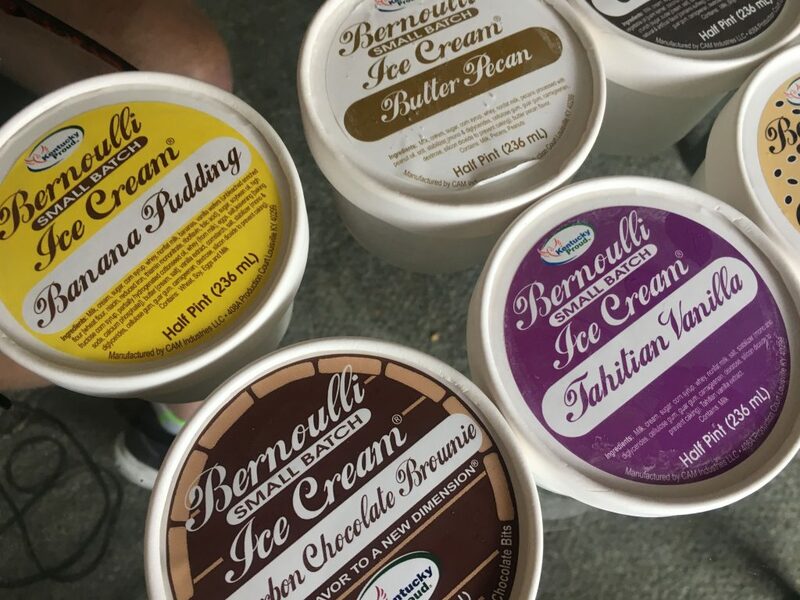 The founders of Bernoulli Small Batch Ice Cream, Brian and Allyson Comstock, have turned a part-time passion into a phenomenal business success story. 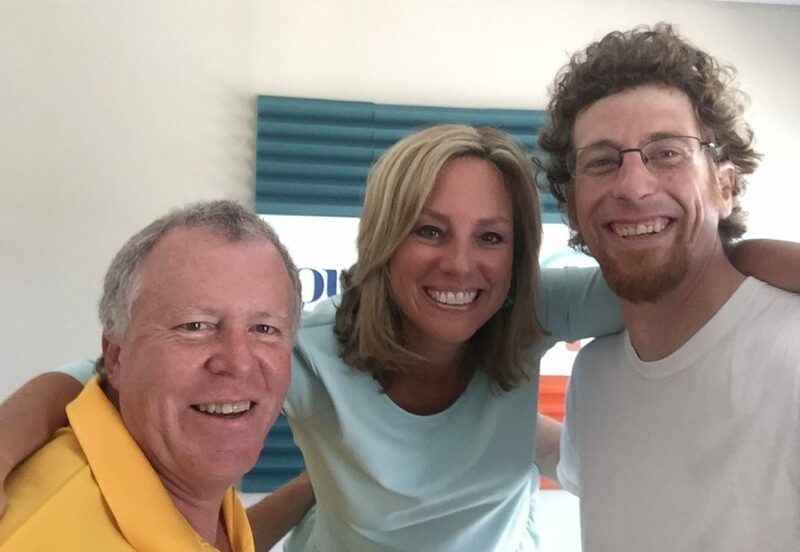 Listen to this episode of EatDrinkTalk to see how they did it. The Comstocks also brought some of their most popular flavors to the studio, taking Rick off his diet in a way that was well worth it. 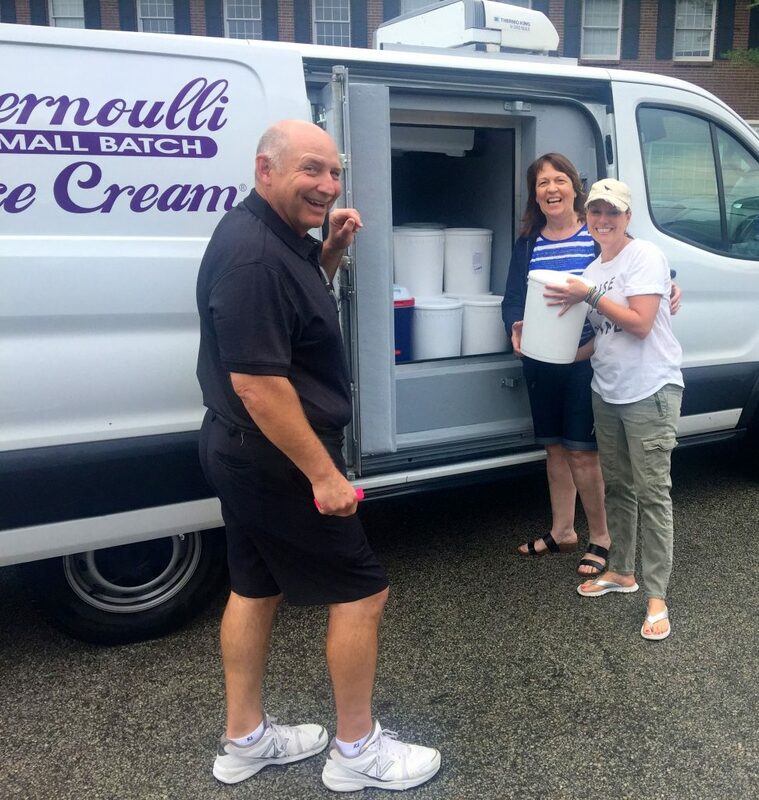 The Comstocks are long-time friends of Carolyn’s, and were happy to answer all our ice cream questions. 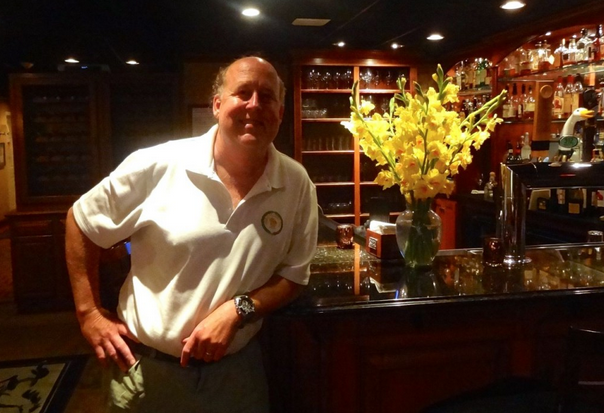 Rick stopped in at the new bar in town, The Champagnery on Frankfort, for a look and taste of what this fancy place is like, destined to become a hotspot along with its neighbors – the Red Herring, the Silver Dollar and the Hilltop Tavern. 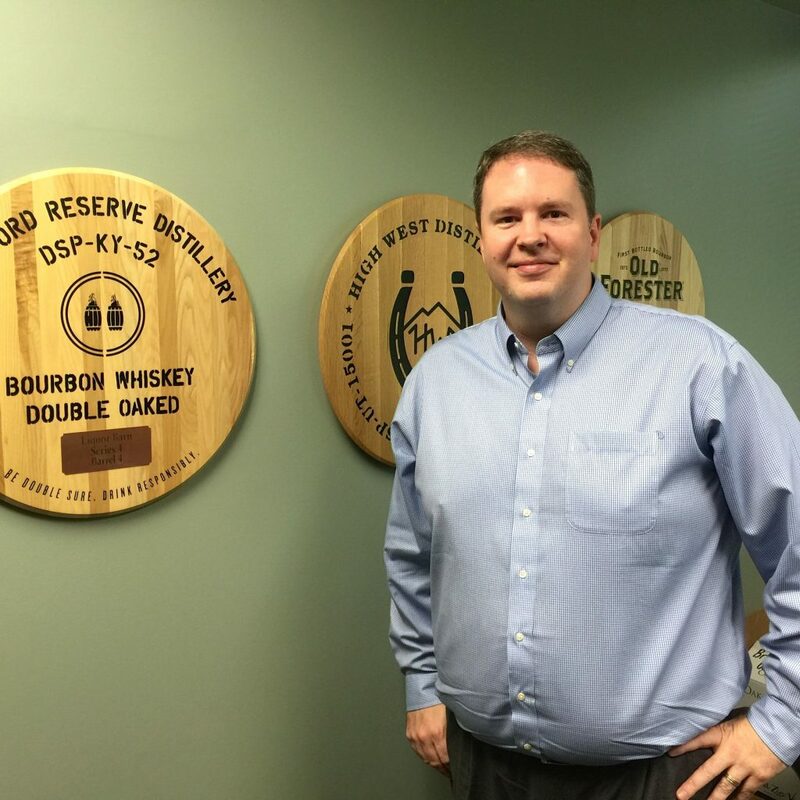 Rick also visited the new trailhead for the Kentucky Bourbon Trail – the Frazier History Museum. Plus we update you on the next big thing at Fourth Street Live!, Family Fun Day. 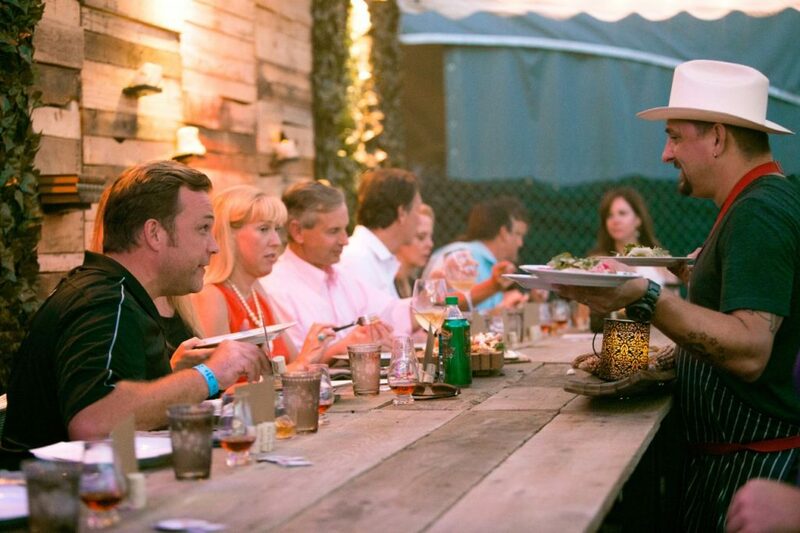 There’s plenty more in the city’s favorite eating and drinking podcast, EatDrinkTalk. Find us online at EatDrinkTalk.net, and on Twitter at @EatDrinkTalkLou. 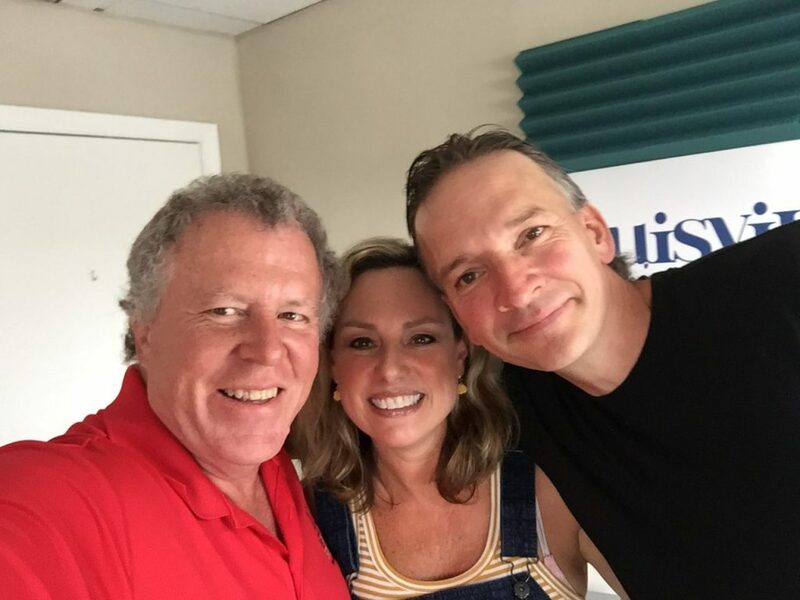 Bourbon historian and journalist Fred Minnick stops by the studio to talk about his role in September’s Bourbon and Beyond Festival, which features a lineup of master distillers, chefs and musicians that makes the second festival one of the best in the country. Minnick is the author of seven books, mostly about drinking, and is the curator of all things bourbon at the upcoming fest. Carolyn and Rick were inspired by last week’s appearance on the show by Anoosh Shariat to make our Eat of the Week choices at his two establishments. Carolyn and friends spent a night at Anoosh Bistro, and she raved about the Shrimp Scampi. Across the parking lot, Rick broke free, sort of, from his diet to try a veggie pizza at Noosh Nosh. We noticed the LEO Weekly story on restaurant noise, and agreed that some of our local hotspots are just too darn loud. Out in the East End, we learned that a favorite haunt, Brownie’s the Shed, is shutting down. Carolyn talked with the owner, who said Brownie’s will continue in the East End, but wouldn’t reveal the location. 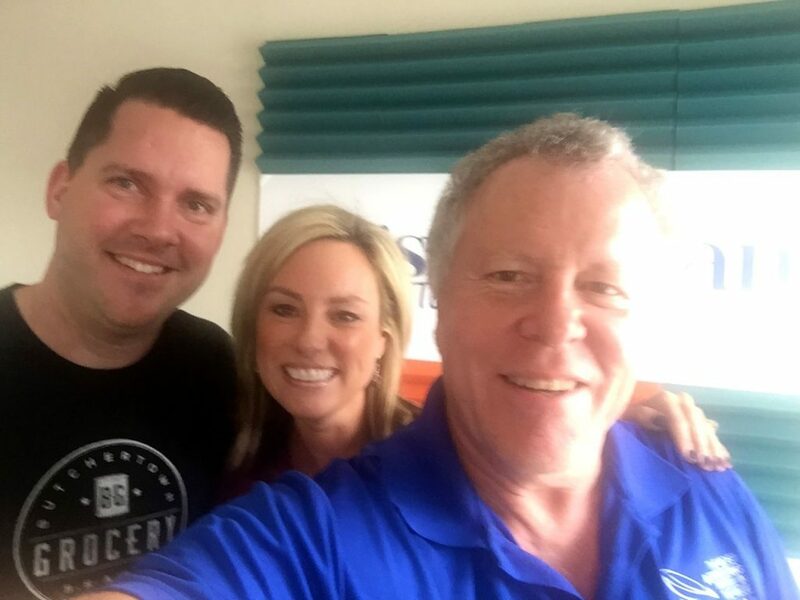 Our sponsor, Fourth Street Live!, is revving up for a big concert this weekend, and for the June 30 Family Fun Day, when you’re encouraged to bring your pet to the entertainment venue. Thanks for listening, and check our site out anytime at www.EatDrinkTalk.net.